As Erdogan’s war on the Kurdish minority expands to include the entire opposition, what started as solidarity between the Turkish and the Kurdish left has now become two fronts in the same war. 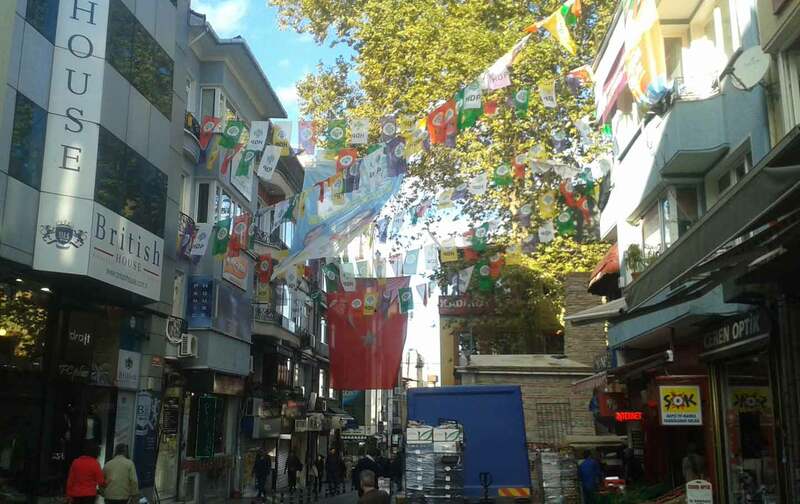 Istanbul—On the streets of Istanbul’s Kadiköy neighborhood, HDP—the Turkish acronym of the People’s Democratic Party—is frequently scrawled on the sides of buildings and sidewalks. This Sunday, Turkey will vote in a major election that will determine whether the leftist, pro-Kurdish party will retain the parliamentary representation that it won over the summer, thus ending the increasingly authoritarian 12-year majority rule of President Recep Tayyip Erdogan and the ruling Justice and Development Party (AKP). While the leftist, pro-Kurdish HDP was conceived as an amalgam of leftist movements in 2012, it rose to prominence in 2013, when the Gezi Park protests served as a natural incubator for its environmentalist, anti-capitalist, and egalitarian principles. Although the protests—which started in Istanbul and then spread to the rest of Turkey—lost momentum after a few months, the party steadily grew, developing into a strong movement that, in addition to emphasizing female and minority representation, gives an unprecedented political voice to Turkey’s Kurdish population. This past June, the party became a major political player when it won 13 percent of the vote in the parliamentary elections, thus surpassing the 10 percent needed to have political representation in Parliament. It was a short-lived victory. After a summer of deadly attacks on leftist, often HDP-affiliated gatherings, the party’s supporters—many of whom are young leftists—are as concerned about violence leading up to and following the elections as they are about the elections themselves. Despite a bomb that targeted an HDP rally in the Kurdish city of Diyarbakir two days before the June elections, the summer began optimistically, and fairly peacefully for Turkey’s left. 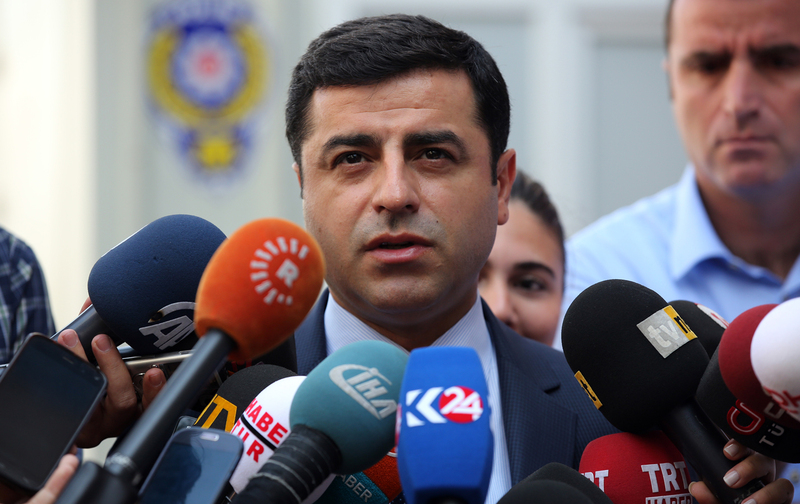 The HDP’s June victory was celebrated, and symbolic on many levels. In addition to shifting the balance of power away from Erdogan’s ruling AKP, the victory marked the first time that a pro-Kurdish party—and Kurdish politicians—would be represented in Turkish politics, a historic change given the AKP’s traditionally disenfranchising policies toward the country’s Kurdish population of 14 million. When the AKP failed to form a coalition government and announced the need for a “snap” election in November—a ploy to win back absolute control—its campaign against the HDP, and leftist Turks and Kurds in general, became apparent, and extreme. First, a bomb exploded in Suruç, killing 33 activists and injuring more than 100 others who had gathered in the border city in the Kurdish region to deliver aid to civilians in the Syrian city Kobane, after the city was destroyed by the Islamic State (ISIS) fighters during a months-long siege. Although the suspected suicide bomber was affiliated with ISIS, the Turkish police were curiously absent from the gathering, leading many to suspect that the intelligence services knew about the attack before it happened and deliberately allowed it to take place. “We wanted to rebuild Rojava and Kobane—all we wanted to do was bring toys to the children, and new clothes for people who had lost everything during the ISIS invasion,” Ali Deniz Esen, a 20-year-old HDP supporter—and survivor of both the Suruç and later Ankara attacks—told The Nation. “They didn’t let us do this.” Both Rojava and Kobane, two cities in the heavily Kurdish region of northern Syria, have been on the front lines in resisting ISIS. Last month, when twin bombs exploded at a peace rally in the capital city of Ankara—killing 102 people in the worst terrorist attack in Turkish history—the Erdogan government responded similarly, and many of the survivors were, again, suspicious. Like the bombing in Suruç, there was an uncharacteristic lack of state security, despite foreknowledge that a leftist rally would be taking place—typically an occasion for maximum security. One of the confirmed suicide bombers, Yunus Emre Algöz, is the brother of the main suspect in the Suruç bombing—and has been under police surveillance since 2013, when their parents alerted security forces that they suspected their sons were joining ISIS. The Turkish security forces had enough intelligence about the suspects to prevent both attacks. However, as ISIS’s war against the Kurdish population spreads from Iraq and Syria into Turkey, its targeting of Kurdish solidarity movements serves the interests of Erdogan and the Justice and Development Party—particularly as they vie to win back majority rule. As AKP becomes more aggressive in its campaign against the HDP, many suspect that the Turkish security forces’ negligence in stopping the ISIS attacks is actually Erdogan’s strategic complicity. Since this pattern of deadly attacks, the HDP has been forced to cancel rallies across the country out of security concerns, severely affecting the party’s ability to campaign before the crucial elections. Its offices have been ransacked by far-right activists, and armed mobs have attacked many of HDP supporters, particularly ethnic Kurds living in the southeast. However, despite the unpredictable threat of violence, Esen says that the Turkish government’s war on the opposition has united leftists, particularly Turkish leftists in solidarity with Kurds.